Boost candy sales with candy display bins that allow for easy browsing and selection! 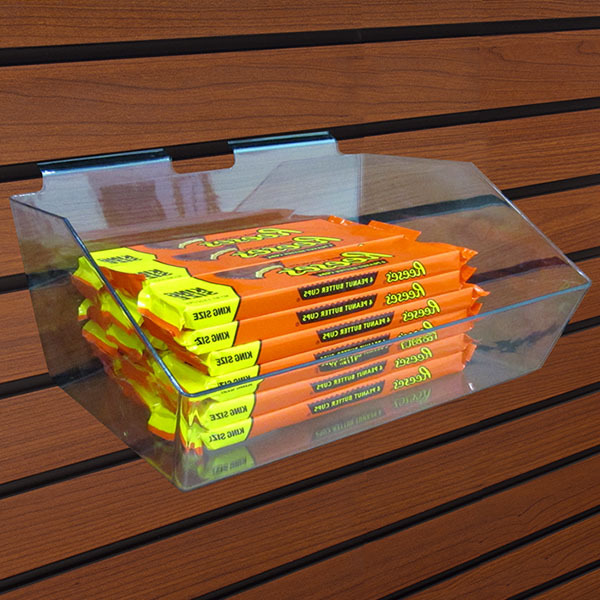 Acrylic bins are ideal for a candy display throughout your store. The angled opening give customers easy access to browse through your candy selection. Maximize space by placing bins tightly on grid, pegboard, or slatwall. For additional offerings, we ask you to take the time to look through our whole array of candy displays at Specialty Store Services now.